Autumn Fireworks | happy Halloween! I love Autumn! The crisp cool days, the fun of Halloween and the general calming down of the landscape around us. It’s a time when I often find myself reflecting on the year and taking time to re-evaluate and recharge my batteries. One of my favourite things about this time of the year is the transformation that happens in our gardens. The quieting down of colours and gentle dying down of plants as they move into dormancy for Winter. Before the season ends for Winter however, the garden throws one last glorious party. 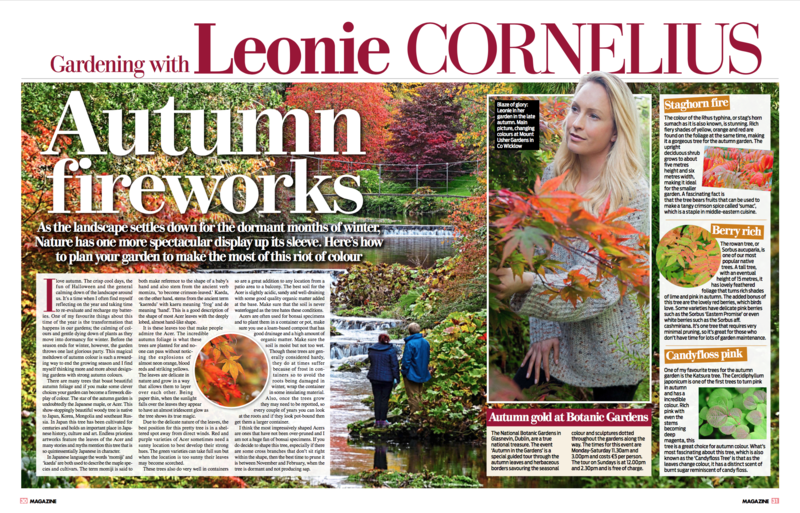 This glorious meltdown of autumn colour is such a rewarding way to end the growing season and I find myself thinking more and more about designing gardens with strong Autumn colours. 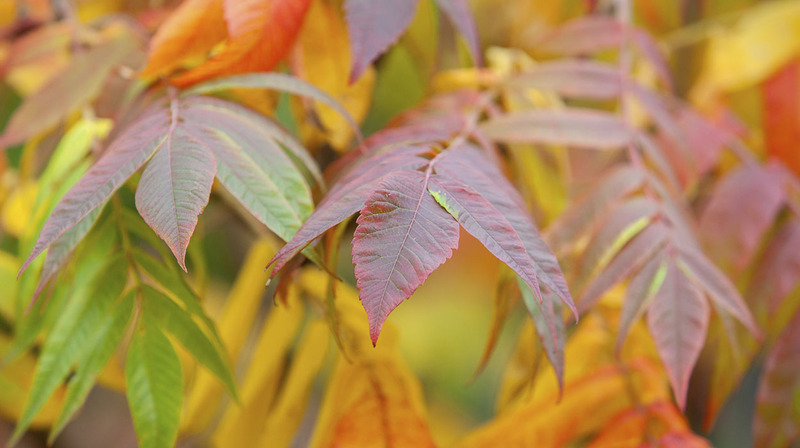 There are many trees that boast beautiful autumn foliage and if you make some clever choices your garden can become a firework display of colour. The star of the Autumn garden is undoubtedly the Japanese Maple, or Acer. This show-stoppingly beautiful woody tree is native to Japan, Korea, Mongolia and Southeast Russia. In Japan this tree has been cultivated for centuries and holds an important part in Japanese History, culture and art. Endless priceless artworks feature the leaves of the Acer and many stories and Myths mention this tree that is so quintessentially Japanese in character. 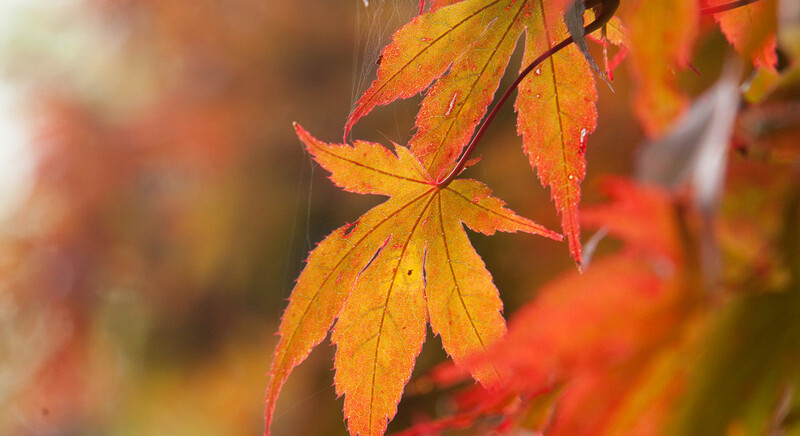 In Japanese language the words momiji and kaeda are both used to describe the maple species and cultivars. The term momiji is said to both make reference to the shape of a baby’s hand and also stem from the ancient verb momizu ‘to become crimson-leaved.’ The word Kaeda on the other hand, stems from the ancient term ‘Kaeredu’ with Kaeru meaning ‘Frog’ and de meaning ‘hand’. This is a good description of the shape of most Acer leaves with the deeply lobed, almost hand like shape. It is these leaves too that make people stop and admire the Autumn Maple or Acer. The incredible autumn foliage is what these trees are planted for and no-one can pass without noticing the explosions of almost neon orange, blood reds and striking yellows of the trees. The leaves are delicate in nature and grow in a way that allows them to layer over each other. Being paper thin, when the sunlight falls over the leaves they appear to almost glow iridescently, the tree showing its true magic. Due to the delicate nature of the leaves, the best position for this pretty tree is in a sheltered spot away from direct winds. Red and purple varieties of Acer sometimes need a sunny location to best develop their strong hues. The green varieties can take full sun but when the location is too sunny their leaves may become scorched. These trees also do very well in containers so are a great addition to any location from a patio area to a balcony. The best soil for the Acer is slightly acidic, sandy and well-draining with some good quality organic matter added at the base. Make sure that the soil is never waterlogged as the tree hates waterlogged conditions. Acers are often used for bonsai specimens and to plant them in a container or pot make sure you use a loam-based compost which has good drainage and a high amount of organic matter. Make sure the soil is moist but not too wet. Though these trees are generally considered hardy, they do at times suffer with frost in containers so to avoid the roots being damages in Winter, wrap the container in some insulating material such as bubble wrap. Also, once the trees grow they may need to be repotted so every couple of years you can look at the roots and if they look pot-bound then get them a larger container. I truly think that the most impressively shaped Acers are ones that have not been over-pruned and am personally not a huge fan of bonsai specimens. If you do decide to shape this tree, especially if there are some cross branches that don’t sit right within the shape, then the best time to prune it is between November and February, when the tree is dormant and not producing sap. 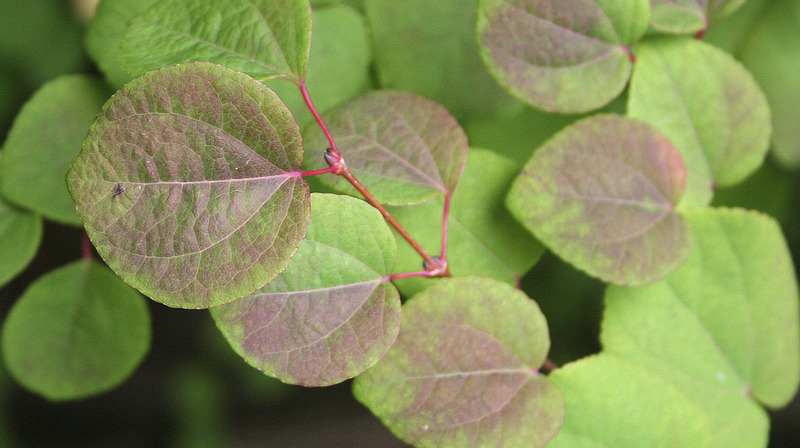 One of my favourite tree for the Autumn garden is the Katsura tree. The Cercidiphyllum japonicum is one of the first trees to turn pink in Autumn and has a absolutely incredible colour. Rich pink with even the stems becoming deep magenta this tree is a great choice for autumn colour. What’s most fascinating about this tree, which is also known as the ‘Candy floss tree’ is that as the leaves change colour the tree has a distinct scent of burnt sugar reminiscent of candy floss. 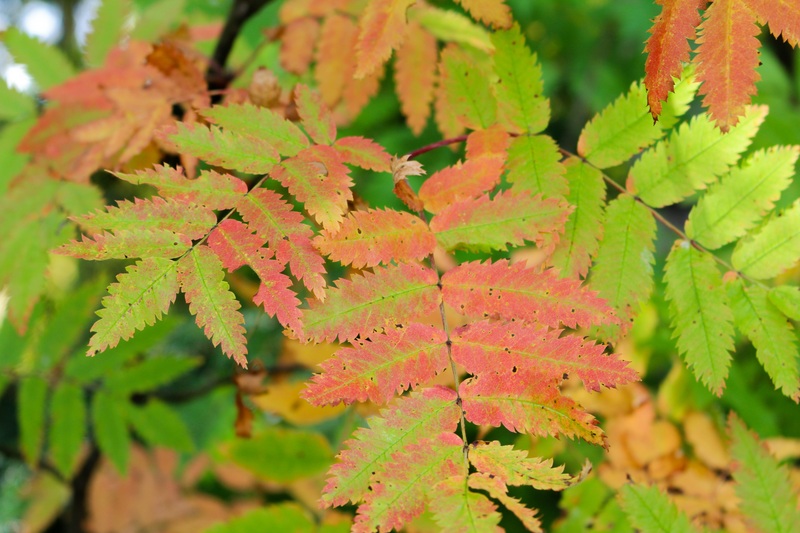 The colour of the Rhus typhina or stag’s horn sumach as it is also known, is absolutely stunning. Rich fiery shades of yellow, orange and red are to be found on the foliage at the same time making it a gorgeous tree for the autumn garden. The upright deciduous shrub grows to about 5 metres height and 6 metres width making it a great small tree for the smaller garden. A fascinating fact is that the tree bears fascinating fruits that can be used to make a tangy crimson spice called ‘Sumac’ which is a staple in middle eastern cuisine. The rowan tree, or Sorbus aucuparia is one of our most popular native trees. A tall tree, with an eventual height of 15 metres, this tree has lovely feathered foliage which turns rich shades of lime and pink in Autumn. The added bonus of this tree are the lovely red berries which birds love. Some varieties have delicate pink berries such as the Sorbus ‘Eastern Promise’ or even white berries such as the Sorbus aff. cashmiriana. It’s one tree that requires very minimal pruning so great for those who don’t have time for lots of garden maintenance. The National Botanical gardens in Glasnevin are a true national treasure. The event ‘Autumn in the gardens’ is a special guided tour through the autumn leaves and herbaceous borders savouring the seasonal colour and view some of the sculptures dotted throughout the gardens along the way. The times for this event are Monday – Saturday 11.30am and 3.00pm and costs €5 per person. The tour on Sundays is at 12.00pm and 2.30pm and is free of charge.